Good Environmental Choice Australia’s ecolabel has provided architects, procurement managers, interior designers, building industry professionals and consumers with an independent, reliable and credible way to make environmentally preferred choices since 2001. GECA sets the standard for environmental performance across the lifecycle of a product. These robust standards and the independent certification process helps manufacturers take action to improve the environmental and social impacts of their products and be one of the leaders in their industry. Many of our award winning and best designed buildings showcase fitouts using GECA certified products. 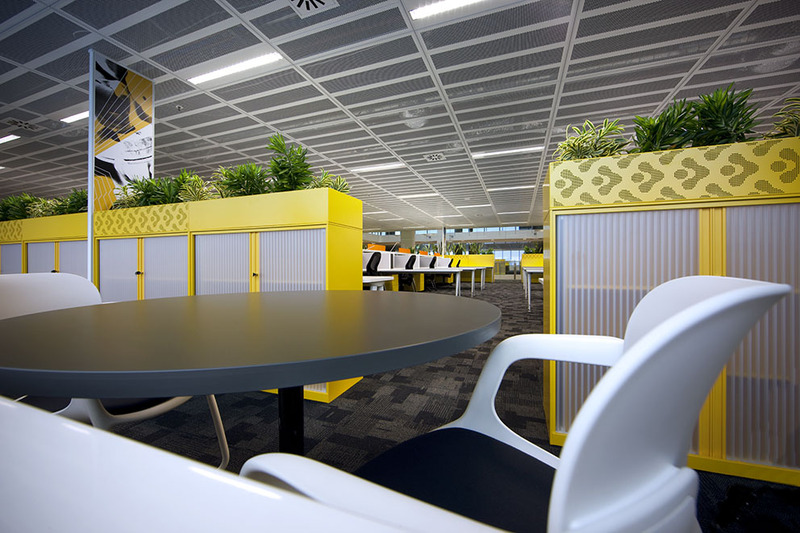 The Worldpark 01 project for Coffey International is one example, with GECA certified Zenith Interiors furniture. Coffey International partnered with GHD Woodhead to deliver the organisation’s first, truly consolidated headquarters in South Australia. 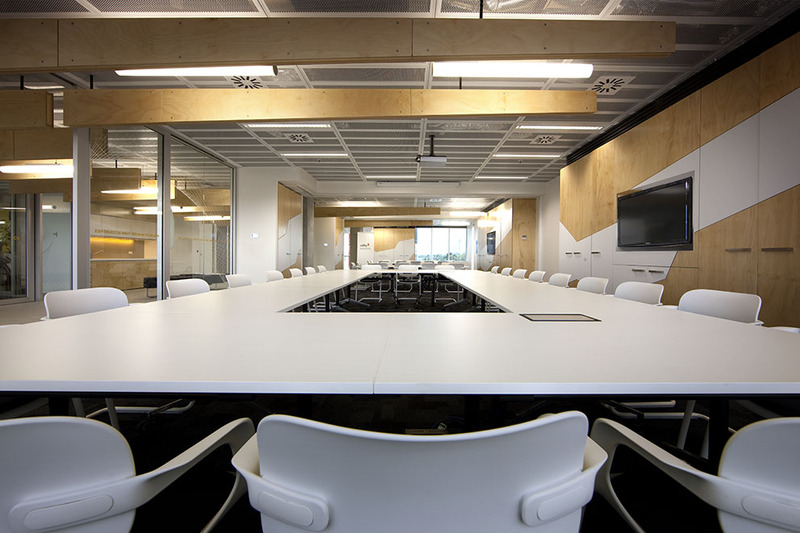 Known as Worldpark 01, the project consolidates the Coffey Group from a number of disparate locations across Adelaide into one workplace environment delivering the benefits of increased knowledge sharing and improved efficiencies. Coffey’s recently completed new workplace within the precinct provides an open, naturally lit environ­ment featuring chilled beam air conditioning, external views for all staff and a diversity of locales to meet and work. As part of the co-location project, purpose built laboratory spaces and soil testing facilities are provided on-site, ensuring staff from all groups within Coffey have been catered for. At the heart of the workplace design is a large central atrium, a ‘One Coffey’ space where the whole organisation can meet as one to celebrate success. 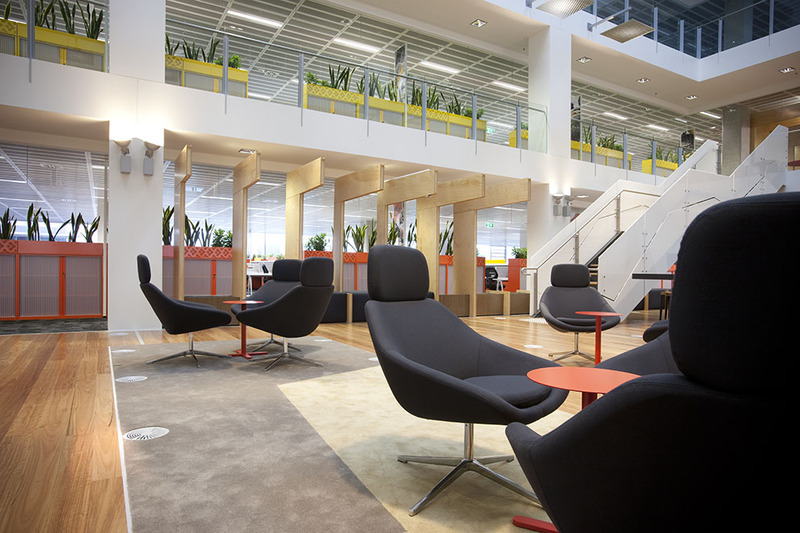 The atrium is accessed via an interconnecting stair and includes a communal library, function facilities and lounge. Zenith products used in project: Jaks Pedestal Stool, Lunar Workstation, Open Lounge Chair with headrest & Soul chair.